Call them builders without borders. Facing challenges such as a shortage of developable sites, steep land prices, high development fees and lengthy approval processes, some Ontario developers are looking beyond Canada for new opportunities. Companies such as Mattamy, Minto, Brookfield, Great Gulf and FRAM are among the developers staking a claim in the United States. What’s drawn them south of the border is greater availability of sites, markets with good growth potential and easier approvals processes. “Mattamy was fabulously successful in the GTA, but for the business to grow, we had to get out of the sheltered existence in the Greater Toronto Area, with provincial directives such as intensification and the Greenbelt,” says Brian Johnston, Mattamy COO. Mattamy Homes founder and CEO Peter Gilgan bought several home building companies in Minnesota, Florida and South Carolina in the early 2000s, but pulled back while trying to keep a small presence in the U.S. market after the crash of 2008. Three and a half years ago, the company started expanding more aggressively in the U.S., striving to build projects of scale in Florida, Arizona and North Carolina. It still operates in Minnesota but on a lesser scale than the other states, although that’s where its homes sell for the highest prices. Mattamy started by buying serviced lots in other developers’ American sites, then moved on to acquire larger tracts where it could build master-planned communities with its own brand. In 1993, as the Ontario housing market was struggling to recover from recession, FRAM Building Group started building on a limited scale in Buffalo so that it wouldn’t have to lay off some of its employees. Afterward, it looked to a city where it could do larger projects and settled on Dallas. FRAM sent a few key staff there with flexible mindsets who could adapt to the Texas market rather than imposing a ‘this is how we do it in Toronto’ mindset. Having operations in three major cities—Calgary, Toronto and Dallas—where the timing of economic cycles differs—has proven to be a sound business strategy for FRAM. Great Gulf, for its part, gained a U.S. foothold two decades ago, when it started Ashton Woods Homes, now a stand-alone American company that builds throughout the Sunbelt. The company’s Canadian condominium division recently began developing projects in the U.S. and currently has two condo projects in Dallas, including a downtown 21-storey luxury building that is in the sales phase, and another site launching shortly. It also has sites in the West Palm Beach, Florida area and in Washington, D.C. Similar to what it does in Canada, Mattamy wants large sites where it can build master-planned, low-rise communities. But it goes to school, so to speak, when it comes to site selection. “Americans judge everything on a school district and it’s a key part of our approval process,” says Johnston. Great Gulf researched American cities undergoing similar urbanization as Toronto, with populations of 1 million-plus, strong employment, good net immigration and stability within local and state governments with respect to tax structures and approval processes. It identified Dallas, Houston, Austin, Boston, Miami and Washington as cities with strong growth that would present good condo development opportunities. The company looks at “truly urban sites,” says Wein, within or close to central business districts. Giannone says FRAM looks for Dallas sites that are mainly urban, and while it has done some suburban rentals, FRAM prefers to stay within the Dallas metropolis, particularly with plenty of opportunity to be had and a ready availability of land in that market, though competition for prime sites is getting tougher. A fairly straightforward and quick approvals process has also helped to keep the price of housing at affordable levels. Mattamy has addressed some of the financial monitoring issue by establishing Mattamy Home Funding to help buyers find a mortgage and get them qualified, as most purchasers have a difficult time pre-qualifying. It has also introduced credit repair programs that offer buyers advice on how to improve their credit so they can qualify for a mortgage. On the condo side, while it’s something Toronto condos are very comfortable with, the practice of presales is still something buyers are adapting to in the U.S. Wein notes that a developer can still conduct presales, but closer to the construction start—perhaps six months. However, in markets that are heating up, such as south Florida, buyers are more willing to buy prior to construction starts. As with every community it builds in Canada, Mattamy gives each of its U.S. sites an individuality to provide it with a unique style that will appeal to the local market, while building everything from townhouses to large singles to accommodate three or four market segments. Florida is very backyard-oriented and there must be substantial outdoor living spaces, says Johnston. 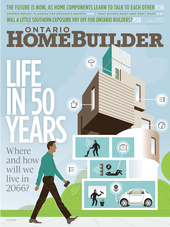 And buyers in master-planned communities expect an amenity centre with a pool, patio, fitness centre and party room. And whether it’s a starter project or high-end condominium, everything revolves around the closet, says Wein. “The suite size is also different. Toronto is a leading North American city in terms of ultra-efficient design, but in a lot of U.S. cities, condos are still relatively large with not as much emphasis on efficiency.” Wein says a 900 sq. ft. unit in Toronto is considered large, but in Dallas, that would be a small one-bedroom suite. Condo amenities, meanwhile, differ slightly. In Dallas, valet parking is common, concierge is more service than security based, and there are pet-based features including pet washing and grooming stations, as well as areas for dogs to walk on site. And pools are also a must-have feature. 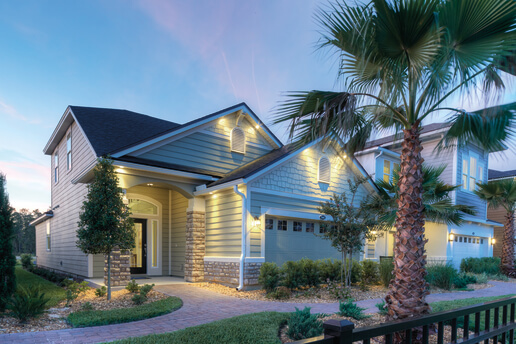 Although Mattamy has been building in the U.S. chiefly for American buyers who want a primary residence, it is also looking to the snowbird and retiree market and sites further south than its current projects, including an Orlando project geared to this market in 2016. In many counties, however, zoning doesn’t allow for seasonal residents or for people to rent out their homes, but it will be permitted at this development. Johnston says most buyers are people who will occupy their unit for two to three months and rent it out for the rest of the year. “There still is significant interest in Florida by Canadians despite the high dollar,” says Johnston.